Eradicates offensive odours from tower block refuse chutes. Controls sewage farm and refuse dump odours. Sweetens and freshens drains and settling tanks. Powerful effective biocide restores hygienic conditions. Neutralises offensive odours from offal dumps. Controls sewage farm odours without impairing the natural enzyme action. Sweetens and freshens drains and settling tanks. Food grade ingredients ensure low toxicity and safety in use. Safe yet effective for nursing home use. Thick pink emulsion, easy to use, leaves a lasting pine freshness. Ideal for sick rooms and nursing homes, cleans, deodorises and freshens floor coverings and furnishings soiled by incontinent patients. Mild, kind to skins, will not affect paintwork, floors or fabrics. Suitable for use in animal dispensaries and wherever clean sanitary conditions are required. Effective against MRSA. Designed to rapidly clear blockages in drains caused by organic substances. Breaks down grease, hair, paper, sanitary towels, coffee grounds, vegetable matter, cooking fat, etc. Exclusive Prochem acidic deodorant for neutralising and deodorising urine by direct application. 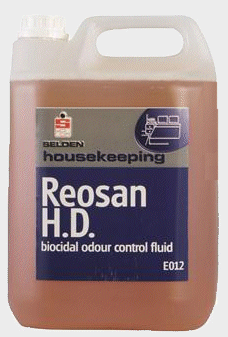 Neutralises odour from urine deposits on contact and prevents staining. Yellow tinted liquid with fresh fragrance. Professional use against flying and crawling insects such as ants, bed bugs, beetles, cockroaches, fleas, mosquitoes, wasps and moths.